Interested to become a reseller? Questions? Create and manage internal database. Connect to the external database. Enter all required card holder information in the database form. When you install Incardex software on your computer two shortcuts will be created on your desktop: Incardex Designer and Incardex Producer. 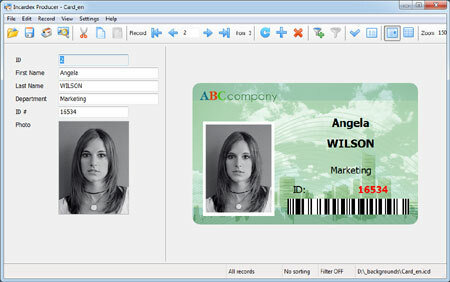 Incardex Designer is used to create ID card layouts and setup databases. 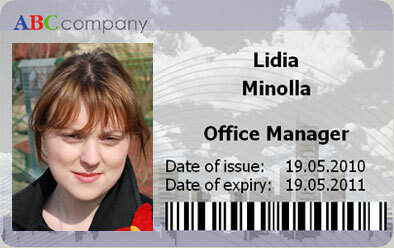 Incardex Producer is used to enter personal information, photos, and print ID cards. 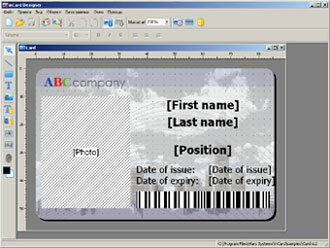 Set data fields on the ID card template (images, text, graphic objects). Attention! Use this link to download the codec (.exe file, 174 Kb) to view the movie. inPhoto ID PS: Canon Powershot camera control, automatic face detection on live image, face crop, image resizing and enhancement. inPhoto ID SLR: Canon EOS camera control, automatic face detection on live image, face crop, image resizing and enhancement. inPhoto ID Webcam: web cameras control, automatic face detection on live image, face crop, image resizing and enhancement. ID Photo Processor software: batch photo processing. inPhoto Capture SLR software: Canon EOS camera control.